Last year, Shattered Grid made comic book history-this year NECESSARY EVIL changes what you think you know about the Power Rangers with a reveal that will have everyone talking! 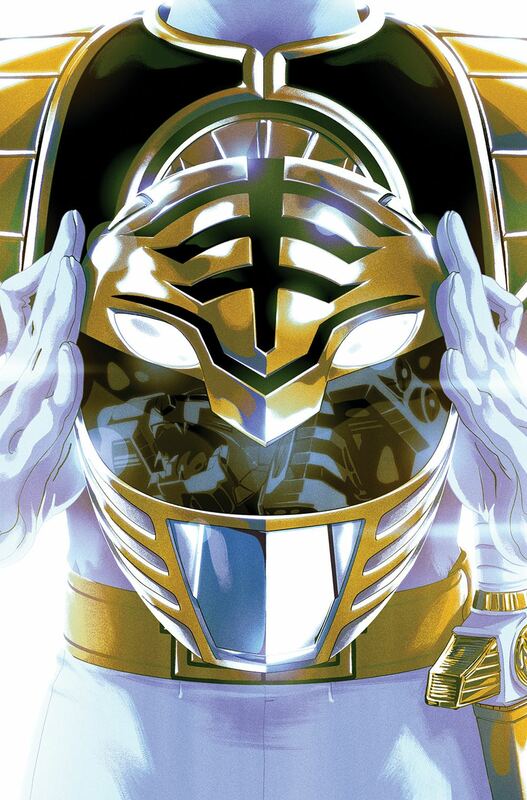 The Power Rangers comic book event of 2019 begins here with the first appearance of the Power Ranger everyone's been asking about-the fan favorite White Ranger! The all-new team of creators from record breaking Power Rangers; Shattered Grid; Ryan Parrot and Daniele Di Nicuolo present the return of the Mighty Morphin Power Rangers-but what happened to the universe after the defeat of Lord Drakkon, and what do our Rangers remember? Kicking off a new Foil Cover initiative from Mighty Morphin Power Rangers #40-49.